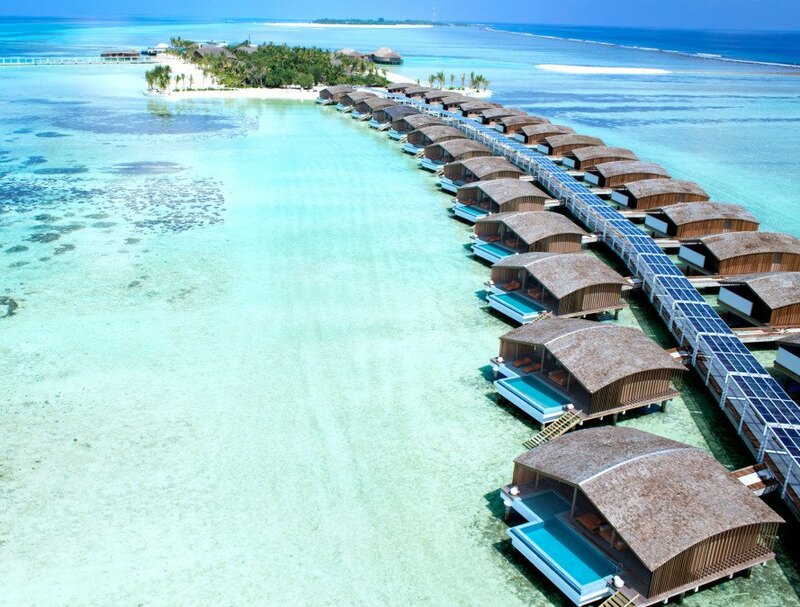 The world's first 5-star resort to be completely powered by solar proves that luxury does not have to be sacrificed in the name of sustainability. Finolhu Villas, a jaw-dropping over-water resort on Kaafu Atoll in The Maldives, was designed by Yuji Yamazaki to have as little impact as possible on the pristine environment that surrounds it. The resort, set on a 13-acre island, is not only a one-of-a-kind getaway, but an example of how energy independence can be achieved even in a challenging environment for development. The project’s solar panels, which are treated as a design element, generate around a megawatt of energy per day – more than is needed to power the entire resort. Excess energy is stored for rainy or cloudy weather. The island also has a desalination tank that yields a self-sufficient water supply, an efficient waste management system, and landscaping designed to minimize erosion. Yamazaki has incorporated the sustainable features of the property into a design that brings luxury to the forefront. 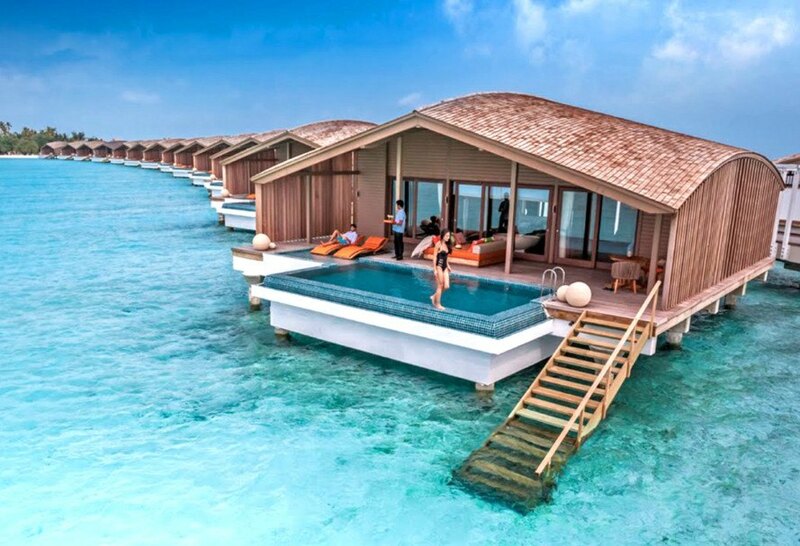 The central jetty houses 52 villas, which branch off towards the water much like vertebrae from a spine. The villas are endowed with 12-foot soaring ceilings that curve up like cresting waves and roofs that are covered with shingles to reflect local building traditions. The three-room villas are each equipped with a private beach and a private pool, with views that include either an unobstructed sunrise or sunset view each day. For those guests who tire of luxuriating in private, there is also a central restaurant, a bar and pool area, and an on-site spa and gym. Private beaches are part of each villa, giving guests extreme privacy. 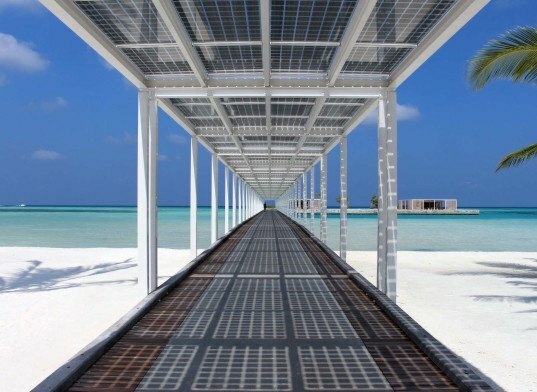 The resort's solar panels are used as a design feature, not hidden away. The central jetty houses 52 villas, which branch off towards the water much like vertebrae from a spine. For those guests who tire of luxuriating in private, there is also a central restaurant, a bar and pool area, and an on-site spa and gym. The island also has a desalination tank that yields a self-sufficient water supply, an efficient waste management system, and landscaping designed to minimize erosion. The project's solar panels generate around a megawatt of energy per day – more than is needed to power the entire resort. The three-room villas are each equipped with a private beach and a private pool, with views that include either an unobstructed sunrise or sunset view each day. Excess energy generated by the solar panels is stored for rainy or cloudy weather. The villas are endowed with 12-foot soaring ceilings that curve up like cresting waves and roofs are covered with shingles to reflect local building traditions.